Michael Lynch Family Lawyers is one of Brisbane’s largest family law firms and provides a complete range of family law services. Servicing the north and south sides of Brisbane, our understanding divorce lawyers can help you move forward with your life following a marriage breakdown. Contact our Brisbane CBD office today to speak with an experienced family lawyer specialising in divorce and separation matters. 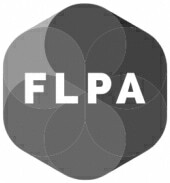 In Australia, family law is based on a “no-fault” principle. This means the only grounds for divorce is an “irretrievable breakdown” of marriage, defined as a 12-month separation with no likelihood of reconciliation. The information below will help you understand how divorce laws work in Queensland and the rest of Australia. Many marriages degrade over time rather than falling apart suddenly. As couples get older, they sometimes start to lead increasingly separate lives. Despite being founded on lifelong commitment, many marriages end due to cheating. Couples can try to move past infidelity, but a serious breach of trust often leads to divorce. From financial hardship to incompatible spending habits, money is a common instigator in marriage breakdowns. Whether it’s triggered by substance abuse, jealousy or anger management problems, both physical and verbal abuse can bring a marriage to an end. It’s perfectly normal for couples to have the occasional argument, but constant bickering can lead to a build-up of resentment over time. Divorce is the legal ending of a marriage. Even if you have been separated for years, your marital status can affect your legal rights and responsibilities. You also cannot remarry until you have obtained a divorce. You and partner have been legally separated for a minimum of 12 months. Separation – A married couple can only divorce once they have been separated for at least 12 months. If neither spouse can afford to move away from the family home, a couple may live ‘under the same roof’ while still being classified as separated. Divorce Application Form – This form needs to be filled out and submitted to the court. If you are applying for a divorce as a sole party, the application must be formally served on the other party. Divorce Order – Once your divorce application has been filed with the court, a hearing date will be set. If your application is approved by the court, you will be granted a divorce order. Can a Divorce Application Be Opposed? The court is not satisfied that appropriate arrangements are in place for the ‘welfare of the children’. You can oppose a divorce application by filing a Response to Divorce. If you choose to do this, you will be asked to present a valid reason as to why you think the divorce should not be granted. Our experienced divorce solicitors can advise you on the process involved. A Divorce Order does not resolve children’s arrangements or property matters. Although these matters are dealt with separately, you must be able to show in a Divorce Application that you have made appropriate arrangements for the welfare of your children. A divorce order will not be granted unless you satisfy the court that reasonable arrangements are in place for the welfare of the children. You can find more information on child custody laws here. Q. How much will a divorce cost? A. Fees can vary depending on your circumstances. Beyond the court filing fee of $1,100 (including GST), the minimum solicitor’s cost for applying for a divorce in Brisbane is around $1,000. Q. How long does it take to finalise a divorce? A. If you factor in the mandatory 12-month separation, getting divorced is a lengthy process. After an application is made to the court it may take several months for your divorce order to be granted (after the 12 months separation), although it can take longer if your case is complicated. Q. What if I have been married for less than 2 years? A. Couples who have been married less than 2 years must either attend couple’s counselling and obtain a certificate or seek special permission from the court to proceed with a divorce without the certificate. Q. What if I don’t know the whereabouts of my spouse? A. You can still apply for a divorce if you do not know the location of your spouse. However, you must be able to show that you have attempted to contact your spouse. Q. Can I still get divorced in Australia if I was married overseas? You regard Australia as your permanent home. If your marriage certificate isn’t in English, you will need to provide a translated version. Q. Do I have to attend court? A. It depends on your circumstances. Unless you are required to attend court in person, the lawyers handling your divorce will usually attend for you. Q. Will getting divorced affect my superannuation? A. It almost certainly will. After getting divorced, you should nominate a new beneficiary of your superannuation. You may also need to change your will. Superannuation is property so if you are looking at getting a divorce it is important to get legal advice from a family law specialist about a property settlement. Your ability to bring a property settlement application to the court ceases 12 months after a divorce order has been made. To get in touch with an experienced divorce lawyer in Brisbane, contact us. 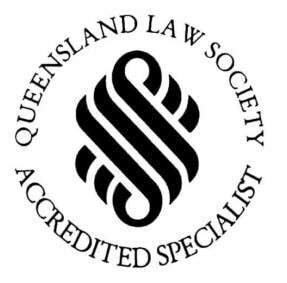 As one of Queensland’s largest family law firms, our combined knowledge of divorce law is exceptional. Contact our Brisbane City office today to find out how we can assist you throughout your divorce proceedings.